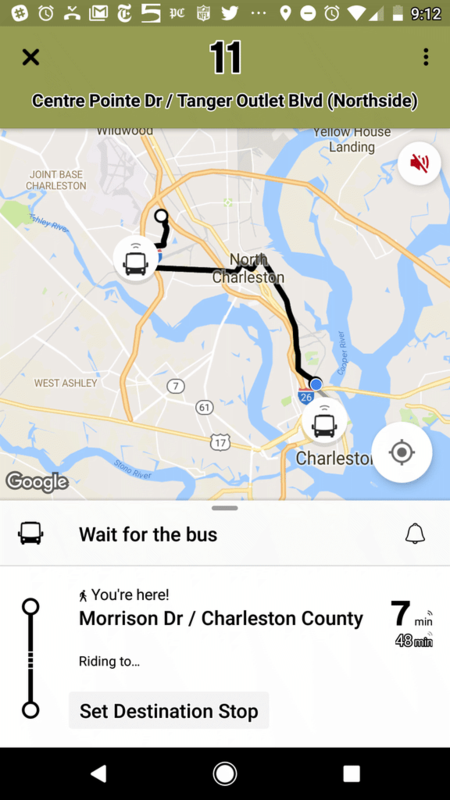 Many public transit trips begin with a walk or bike ride, and this holiday season the Charleston Area Regional Transportation Authority (CARTA) wants to help riders overcome what’s been dubbed the first-mile/last-mile problem – and also spread some Christmas cheer. CARTA has again partnered with Affordabike to refurbish 15 lost-and-found bicycles and give them away to riders in order to help them navigate walks of more than a quarter mile to their stop or final destination. A quarter-mile is roughly the maximum distance most people find “comfortable” to walk to a stop. All CARTA buses, except free DASH shuttles, are equipped with bike racks as part of the system’s no-cost and easy-to-use Rack and Ride program. Recipients of the Christmas bike giveaway will be selected by CARTA staff. Bikes will be available for collection from the CARTA facility at 3664 Leeds Ave. in North Charleston Dec. 17-19. Participating riders are asked to bring ID when boarding. Travel training tips are available by emailing cruze@ridecarta.com. Information on CARTA routes and schedules is available at www.ridecarta.com or by calling (843) 724-7420. Information on TriCounty Link routes and schedules is available at www.ridetricountylink.com or by calling (843) 899-4096. All U.S. armed services veterans and current military personnel can ride Charleston Area Regional Transportation Authority (CARTA) and TriCounty Link services for free on Veterans Day, Sunday, Nov. 11. “Veterans and military personnel make great sacrifices for our country. Allowing them to ride for free on Veterans Day is one small way CARTA and TriCounty Link can say thank you,” said CARTA board chairman Mike Seekings. A military ID, service photo, a memento – such as a veterans cap or other similar items – will be enough to get veterans and current military on board at no cost. Charleston Area Regional Transportation Authority (CARTA) service will be free on Election Day, Tuesday, Nov. 6, the transit agency announced today. “We want all eligible voters in the Lowcountry to have access to one of our country’s fundamental rights, without having to overcome mobility or economic barriers,” said CARTA board of directors chairman Mike Seekings. For more information on routes and schedules, visit RideCARTA.com, now featuring a live chat option, or call (843) 724-7420. BCDCOG and CARTA will be holding a public open house at the St. James Presbyterian Church on Monday 29 from 3-7 p.m. regarding the proposed changes to CARTA’s Route 31 Folly Road, as well as a listening session on transit needs on James Island. Members of the public are invited to drop in anytime during the open house hours and meet with BCDCOG and CARTA Staff and Town of James Island officials at 1314 Secessionville Road, Charleston, SC 29412. Charleston Regional Transportation Authority (CARTA) and Town of James Island officials today cut the ribbon on the transit system’s newest shelter at the intersection of Camp Road and Folly Road. The Town funded the $32,000 shelter, built on land provided by Walgreens. The structure was part of the Charleston County-led Camp Road at Folly Road Intersection Improvement Project. The ribbon cutting comes ahead of a public meeting next week to discuss possible service changes on James Island that potentially include shorter headways and more trips per day. The meeting will be held from 3-7 p.m. on Oct. 29 at St. James Presbyterian Church, 1314 Secessionville Road. Elsewhere in the system, CARTA is in the midst of constructing more than 60 shelters this fall. Obstacle course at North Charleston Coliseum provided stern test. Charleston Area Regional Transportation Authority (CARTA) bus drivers today competed alongside notable Charlestonians in a variety of challenges at the transit system’s annual Bus “Roadeo.” The event, held at the North Charleston Coliseum, once again showcased the talent of CARTA drivers, both via their skills and the efforts of the non-pros. Celebrity Winner: Matt Lee of the Lee Bros. Obstacle stations included: Offset Street, Right/Left Turn, Right/Left Reverse, Passenger Pickup, the ominous-sounding Serpentine and crowd favorite Diminishing Clearance. CARTA drivers were competing for a berth in the statewide “Roadeo” in early 2019, while celebrities chased eternal glory. The County will open the shelter facility at 3765 Leeds Avenue at noon today ahead of potential impacts from Hurricane Michael. Tell the next CARTA bus driver and they will have Transportation send a bus. A CARTA Tel-A-Ride bus will then transport citizens to the shelter. If there are no CARTA stops near you, head to the nearest Blue Hurricane pick up sign. Service will begin today at noon – 7 p.m. tonight and operate tomorrow from 8 a.m. to 5 p.m. only if weather and wind conditions allow. Visit http://bit.ly/2pLFyGl for more details. If you think driving in Charleston traffic is hard, try doing it in a 40-foot bus. That’s what a quartet of notable Charlestonians will be tasked with when they join Charleston Area Regional Transportation Authority (CARTA) drivers in the transit system’s annual Bus “Roadeo” at 10 a.m. on Saturday, Oct. 13 at the North Charleston Coliseum. Obstacle stations include: Offset Street, Right/Left Turn, Right/Left Reverse, Passenger Pickup, the ominous-sounding Serpentine, and crowd favorite Diminishing Clearance. CARTA drivers will be competing for a berth in the statewide “Roadeo” in early 2019. For the non-pros, eternal glory is up for grabs. The event is open to the media and the public. The first buses roll at 8 a.m. in the North Charleston Coliseum E parking lot. Celebrity competition kicks off at 10 a.m.